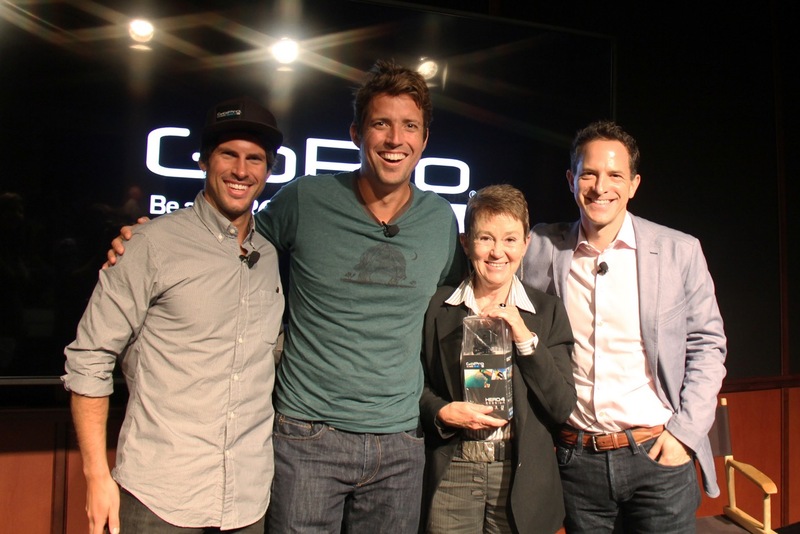 Thursday morning, GoPro Founder & CEO Nick Woodman and SVP of Media Zander Lurie joined Dean Elizabeth Daley at the School of Cinematic Arts to announce their new partnership. As GoPro kicks off its weekly GoPro Awards, which rewards the GoPro community for sharing their GoPro photos, raw video, and edits with weekly cash prizes (totaling $5 million annually), SCA will be its flagship partner in the creative and academic world. This includes new GoPro equipment and accessories for SCA students and specialized workshops and mentorships. 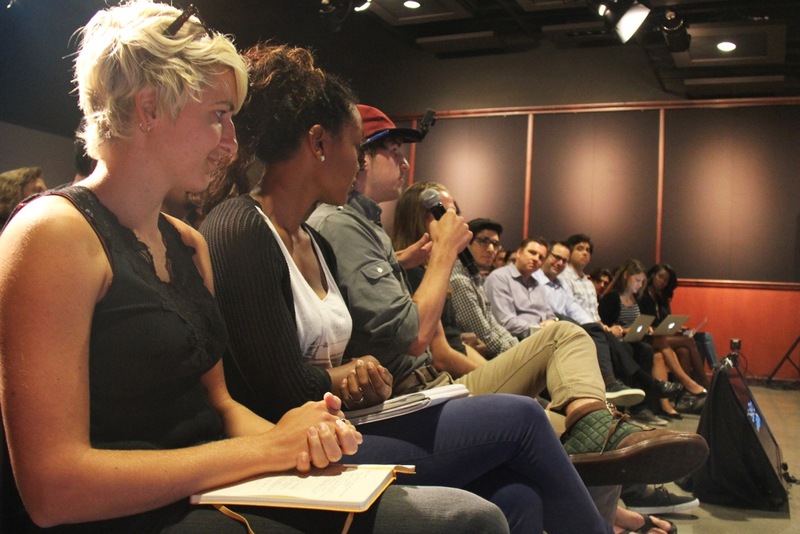 “We knew we wanted to launch this at the best film school in the world,” said Lurie during the announcement to a crowd of USC staff, faculty, and students, in addition to other members of the GoPro team. That sense of adventure is exactly what Woodman set out to achieve when he founded the company in 2002. “From the very beginning, I was focused on enabling people to capture professional quality footage of whatever they loved to do in life—their passions, their interests,” said Woodman. Beyond that, GoPro has also enabled filmmakers to capture moments previously inaccessible to even the most well equipped film crews. One of the three videos screened at the morning event shares the story of a wounded Pelican learning how to fly, most of it captured through a GoPro3+ affixed to the Pelican’s beak. “What I love about the pelican video is that you could put a hundred-million–dollar crew around that and still wouldn’t have been able to capture that shot without a GoPro,” said Lurie. This is just one of the many reasons why SCA has brought GoPro into the fold as one of its newest partners, exemplifying the School’s ongoing efforts to remain at the forefront of emerging technologies. The announcement also featured a discussion with six students (five from Production, one from Animation) about how GoPro has already heavily impacted their work. This is exactly what Woodman hoped for when he started the company, and what he hopes will continue here at SCA with the further integration of GoPro into the curriculum encouraging students to be even more active and ambitious in their creative pursuits. “People say, ‘These are your students today, your filmmakers tomorrow,’” says Woodman, referencing a common idiom of SCA graduates. “With all due respect, you guys are our filmmakers today."